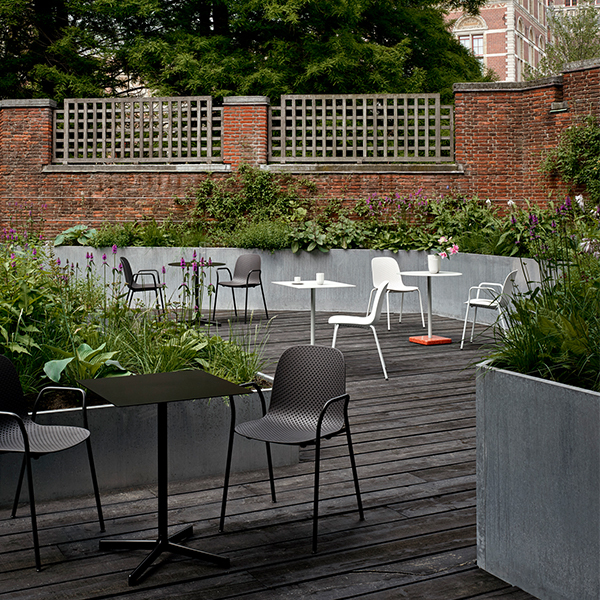 Hay’s Neu is a streamlined metal table designed for both indoor and outdoor use. 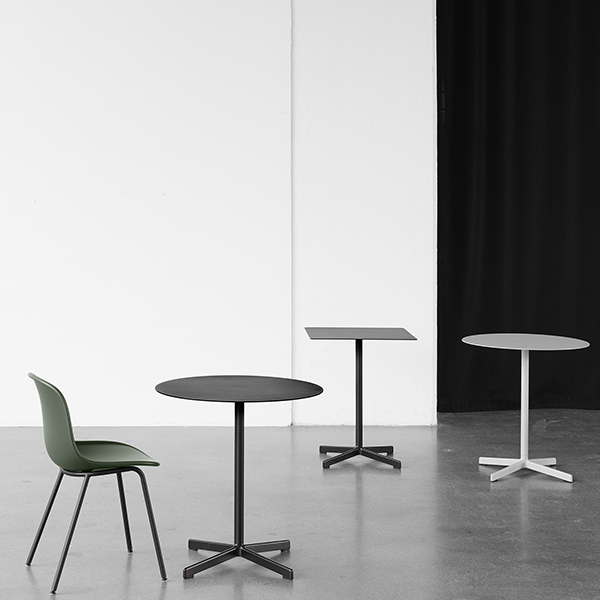 Neu table’s simple, geometrical design consists of a round or square tabletop and a sturdy, tubular central pole. 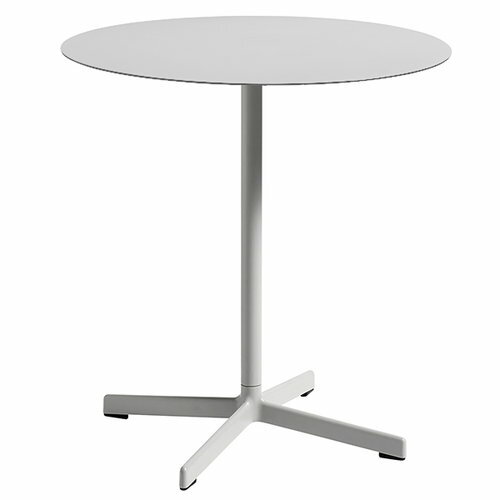 The clean and functional table is a great choice for public and domestic spaces, gardens and terraces.